Windows bring natural light and fresh air into our homes as well as offering views that connect the inside to the great outdoors. 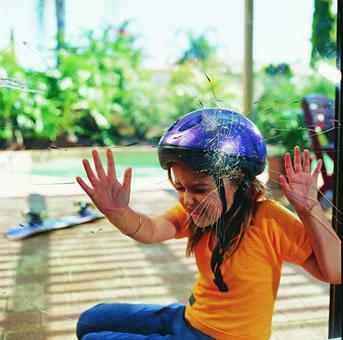 However, window related accidents and security can be a major source of concern, especially for small children. Fortunately, there are a number of preventative measures you can take to improve the safety risks of your home. By arming yourself with the right knowledge, you can have greater peace of mind for the safety of you and your family. Areas of a home that are prone to accidents are required to be fitted with what’s known as Grade A safety glass. The use of safety glass reduces the risk of injury as it is tougher to break and won’t fracture into dangerous shards if broken. In recent years the areas of your home where safety glass is required has increased, while the allowances for ordinary glass areas has decreased. throughout your home if you are running a childcare business. While these are the minimum areas that require safety glass you may want to consider using it in additional spaces, especially where children are active. 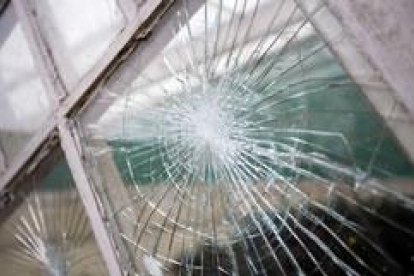 There are two types of safety glass available – toughened and laminated glass. Alternatively, glass safety film can be applied to existing windows and glass areas. While laminated glass, toughened glass and window film can all be used to meet Australian building regulations, it’s worth selecting the most appropriate one to meet your needs. 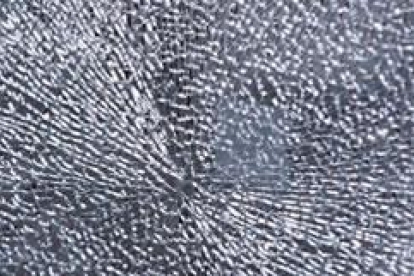 The high strength and unique design of laminated glass prevents it from shattering into large shards when broken. It is made from two or more sheets of glass bonded together with a flexible interlayer. In the event of breaking, the glass is held in place by the vinyl interlayer and forms a web-like pattern. The interlayer does not impact the transparency of the glass but will reduce damaging UV rays fading interior furnishings. Laminated glass is your best option for security in the home. It generally takes two blows to break laminated glass with several further blows to create a hole. In contrast, toughened glass can be accessed with a single blow of a hammer. Used in various applications for its safety benefit, toughened glass is four to five times stronger than ordinary glass of the same thickness. It is treated in a heat furnace to induce internal stresses which give the glass strength. If broken, toughened glass fractures into small blunt pieces. Toughened glass is considered a cheaper alternative to laminated glass but it does not provide the same security providing easy entry into the home if broken. There are many types of window film available for a wide variety of uses from solar heat reduction to UV protection, privacy to safety and security. 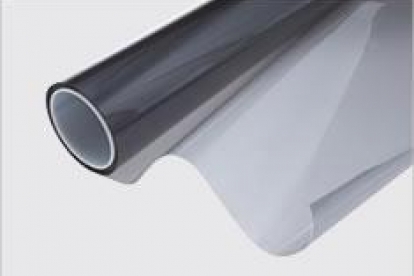 Safety films can be used to bring ordinary glass up to Grade A safety glass requirements. It works in a similar fashion to laminated glass by holding shattered glass pieces to the film if broken. There are restrictions on using film instead of toughened or laminated glass and this depends on the size of the glass pane and its thickness. For example, a 3mm thick glass pane may be fitted with safety filmed to attain Grade A status but only if the pane is less than 2m2. As the thickness of the glass increases, so does the size of the pane that is acceptable to be filmed. If the glass is 6mm thick then window film can be applied to a glass pane of up to 3m2 in size to qualify as Grade A safety glass. All three forms of safety glass are available with added functionality such as the use of toned glass or double glazing, or in the case of film, solar control, allowing you to achieve more than just complying with building regulations. All safety glass, including film being used in safety glass areas, must be labelled. 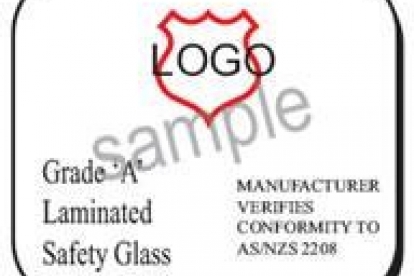 The label will identify the grade of safety glass (e.g. A or B), the type of glass (laminated or toughened) and that is conforms to the appropriate building Standards (AS2008/AS1288). Alternatively, you can contact an accredited glazier to come to your home to identify the type of glass installed. Large areas of glass have been known to cause injury when mistaken for a doorway or opening. Under certain lighting conditions glass panes can appear ‘invisible’ and if children or adults collide with the pane this can cause serious injuries. other components making the glass pane noticeable. When none of the elements above are present, glass doors and side panes must be marked with an opaque band spanning the width of the pane. The band itself needs to be a minimum of 20mm wide. 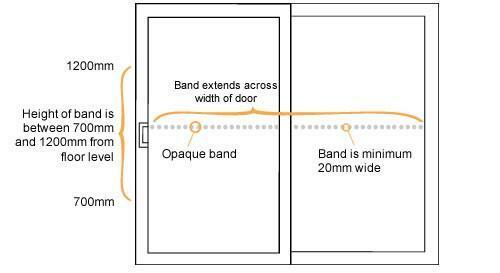 The height of the band must also be located between 700mm and 1200mm from floor level.